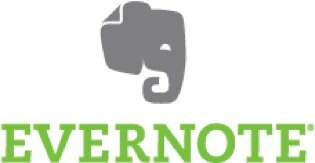 Evernote is as hot as any startup in Silicon Valley, even if they don’t get quite as much press. Last year they raised $20 million from Sequoia Capital, on top of the $25 million they’d already raised. The company is profitable with 70 employees, and has revenue of more than $1 million per month. Profitable enough, in fact, that it’s rumored they haven’t spent a penny of that $20 million venture round. Even so, they’re close to raising a new round, we’ve heard from multiple sources. It’ll likely be in the $50 million range, and Sequoia Capital will once again lead. Our guess (and this is only a guess) is that at least some of this new round will be secondary, allowing the founders to take money off the table. One source pegged the valuation at a billion dollars or more, which would put Evernote in the billion dollar valuation club. But a different source said it would be “substantially lower” than $1 billion. Either way, things are looking good for Evernote. The company declined to comment on this post.